This offer expires Monday 3/4/19 at 9pm pst. 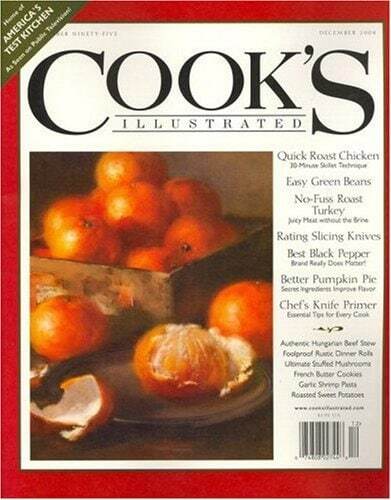 Cook’s Illustrated Magazine is the home-cooking companion for every aspiring chef! Cook’s Illustrated is packed with the “best” receipes, how-to guides, equipment reviews, taste tests and much more with absolutely NO ADVERTISMENTS. From delectable Bolognese sause and BBQ ribs to marvelous chocolate mousse and sorbet, Cook’s Illustrated will have every course of your meals turning out perfectly! Only takes off $9.98 from the retail cost of $49.90 to bring the price for a 2yr subscription to $ 39.92. This code is not working as promised. Hi Zack. This deal expired on 11/11 (it states in the article that This offer expires at Sunday 11/11/18 11:59 PM EST EST). I did just look around though, and found it for $6.99 again here https://bit.ly/2KL9jRi (you will need the same Thriftynwmom code), here through 12/3. We will update the post with this new offer. Thanks so much for checking in, so we could find the current deal! Discounted Great Wolf Lodge Deal on Groupon – $119/Nt!